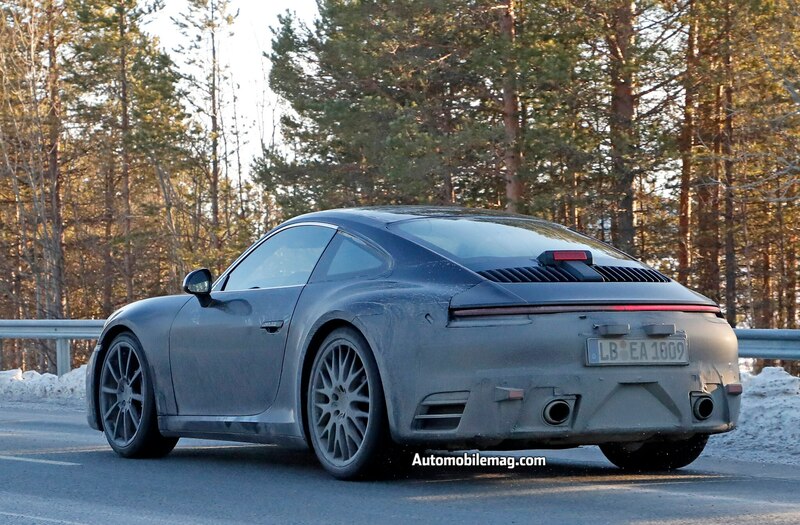 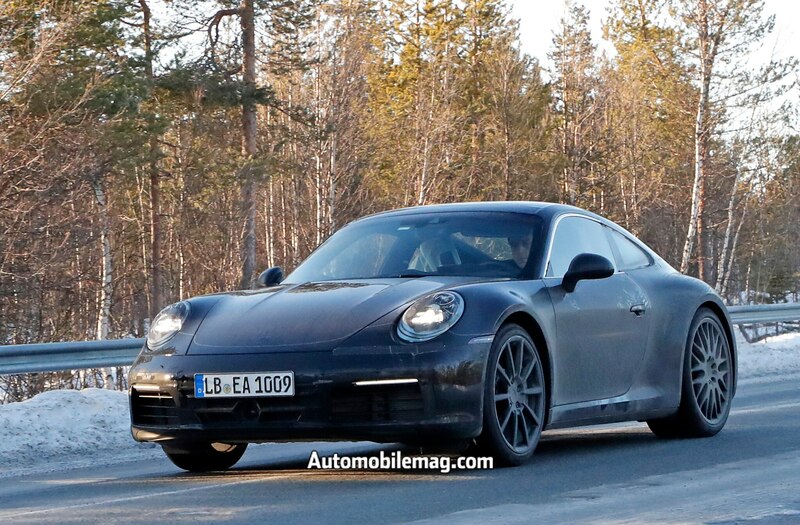 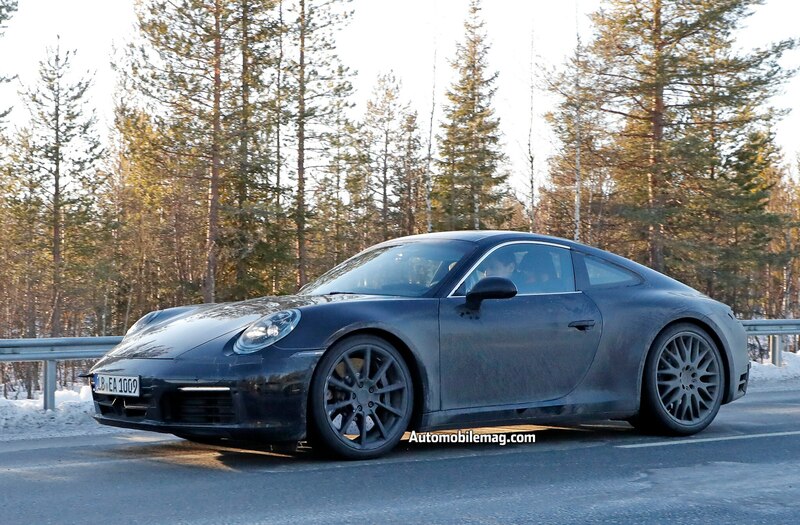 We first spied the upcoming 2019 Porsche 911 a month ago testing in the Arctic and saw a more gradual evolution from the 991 to 992 generation. 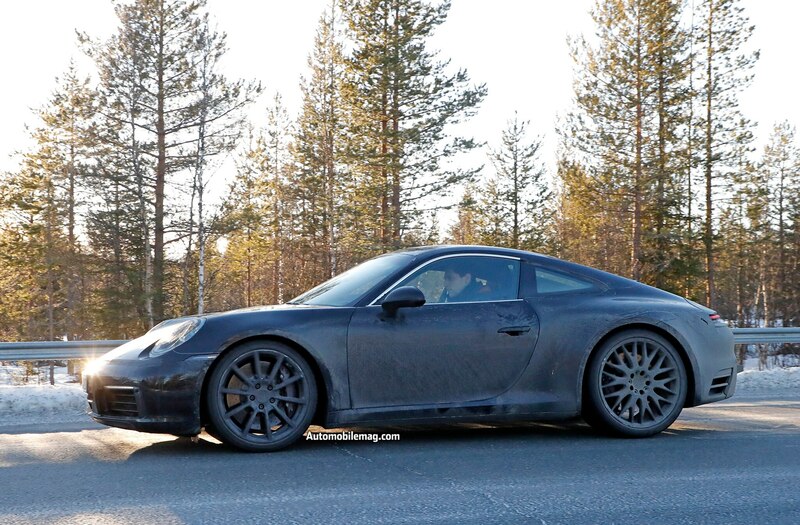 The gap between them appears to be paper-thin without many wholesale changes in the car’s exterior architecture. 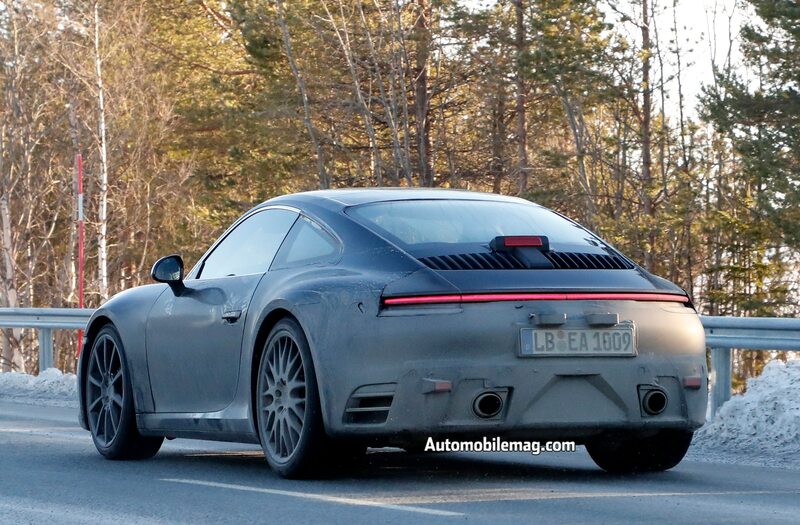 However, in our second set of spy photos, we can clearly see one major departure from previous generations: the rear. 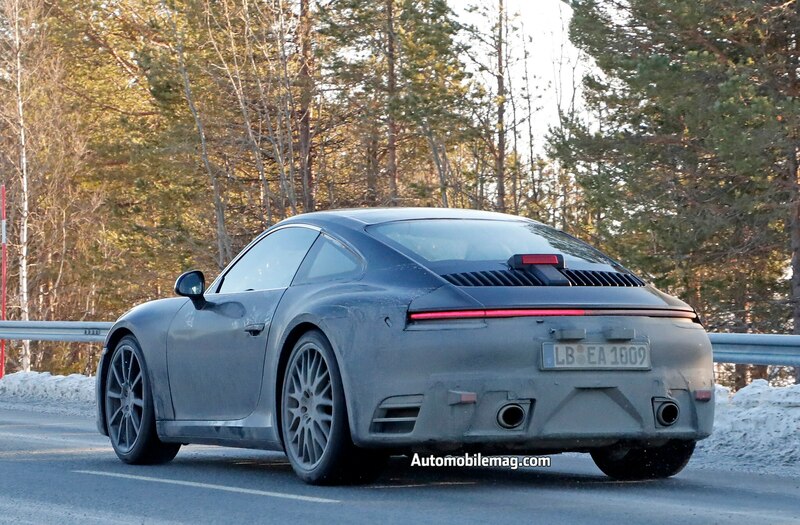 From the photos the rear deck of the next 911 takes its styling cues from Porsche’s Mission E concept. 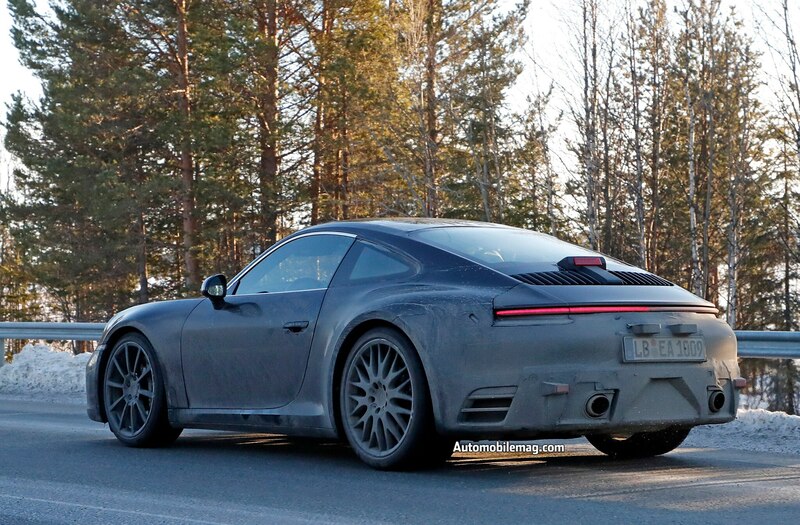 It also features a more tailored rear with a horizontal brake light spanning the entire width of the car. 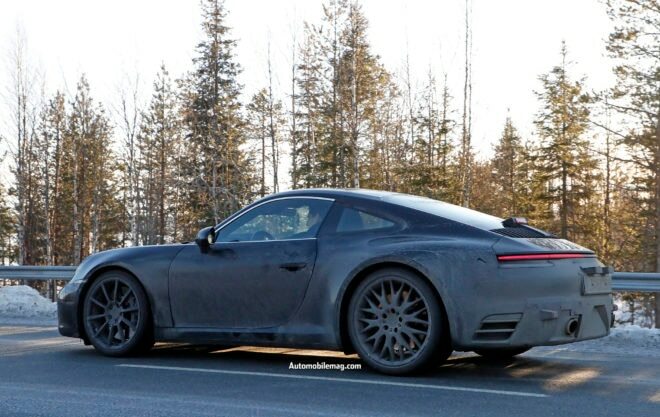 Additionally, the car’s active rear spoiler is down, giving us the best look at what the shape of the tail will eventually look like sans that lower rear cladding. 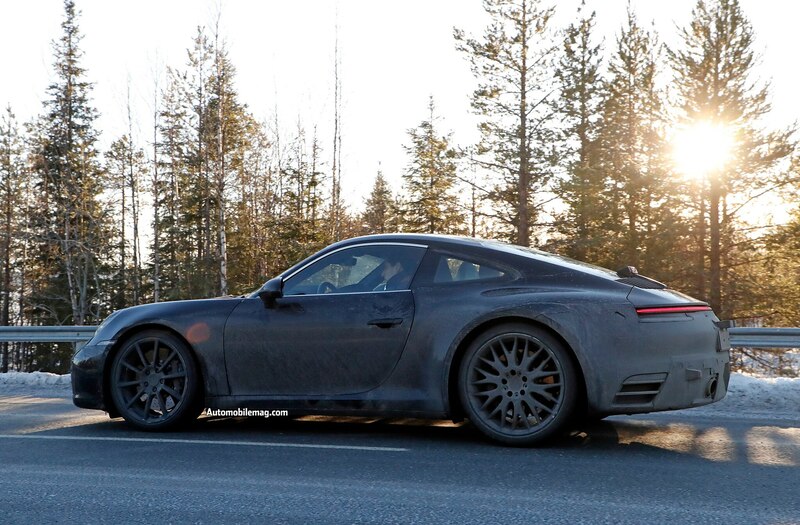 Up front, the nose of the car is almost completely bare of any camouflage and shows a very similar front fascia to the current 991.2 generation. 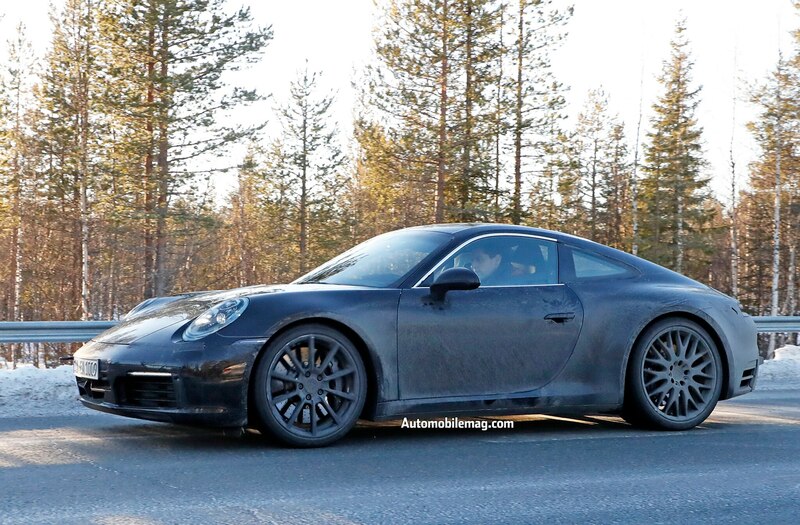 However, small hood creases, reminiscent of the 911 R and 911 GT3 RS are now found on what appears to be a standard 911 Carrera. 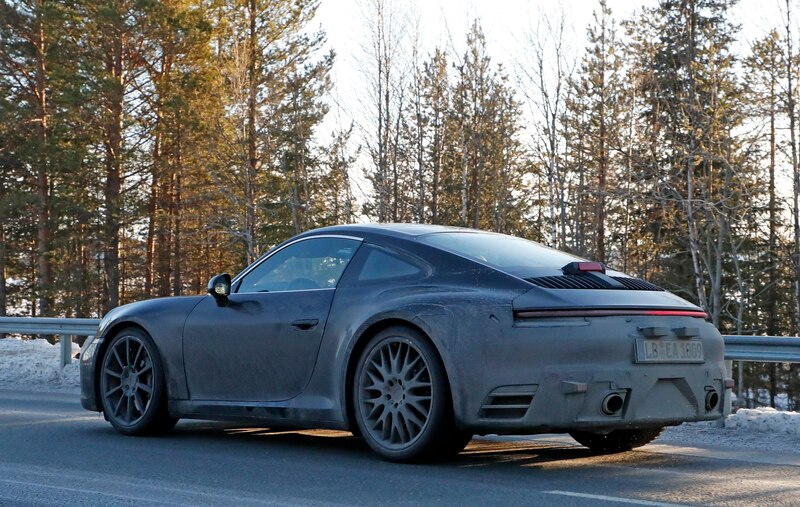 There’s not much else to go on as the wheels are miss-matched from Porsche’s parts catalog and the rubber they’re festooned with is just your average sporty winter tire. 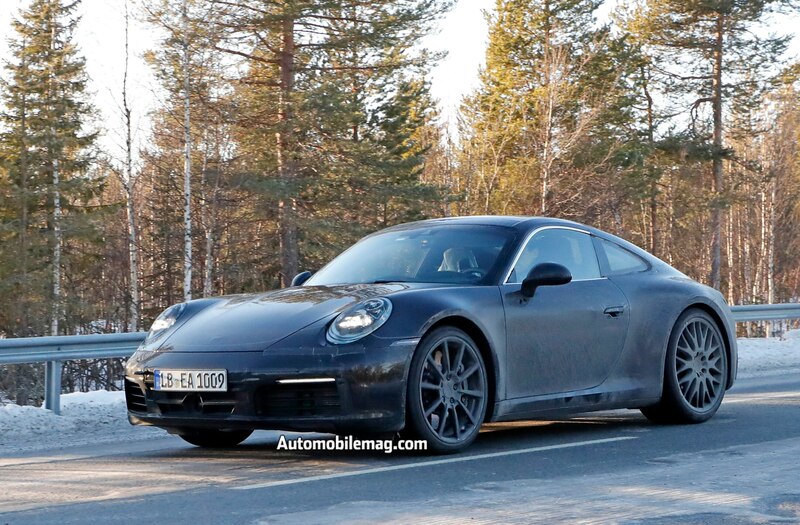 There are no details on the engine or transmission, but our guess would be that the next 911 would see a refresh to the brand new twin-turbocharged 3.0-liter flat-six that debuted with the 991.2 Carrera. Horsepower and torque will likely increase from the 420 horsepower and 368 lb-ft of torque found in the current Carrera S.
Current speculation pegs the introduction of the 992 at late next year as we’ve still yet to see the upcoming 991.2 GT3 RS, and forthcoming animal, the 911 GT2 RS.